A 4 ounce bag of pure lavender. 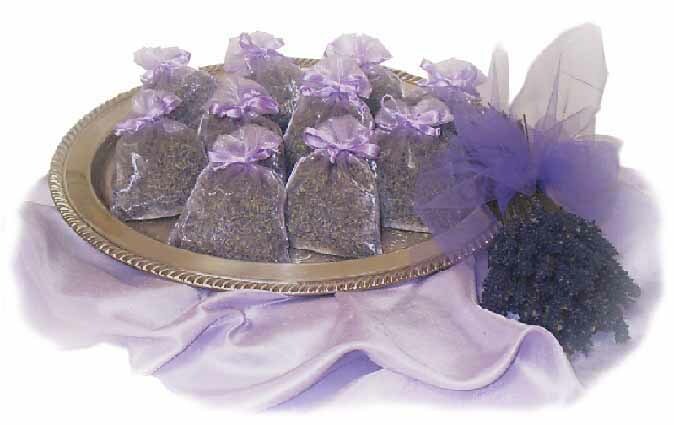 Organza sachets that are pictured are not included. Price is for lavender only. Pure lavender makes a beautiful, fragrent filler. one bag make approximately 30-40 favors, depending on the size of the favor. Sachets pictured not included. Price is for lavender only.